Haryana is a small state in India which has its own religious identity. The temples in Haryana are beautiful that reflects the ancient era and are ideal tourist spots. The temples in Haryana are prominent for their symbol of heritage and culture. Haryana, with its capital in Chandigarh or “The City Beautiful” as it is known, a significant constituent of Delhi’s National Capital Region and surrounding the capital on three sides, has made amazing progress over the years and today is a force to be reckoned with, economically and industrially. Haryana is the smallest state in India which is situated at the foothills of Aravalli Mountains. Haryana state was founded in the year 1966 when the state of Punjab was parted into Haryana and Punjab. 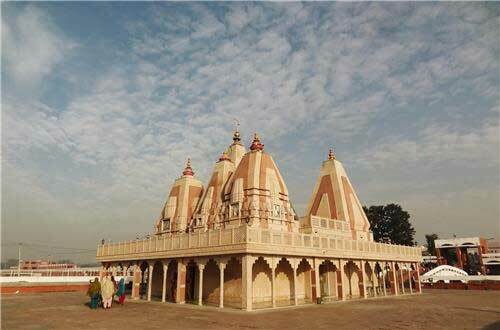 The Bhima Devi temple was established during the reign of Gurjar Pratihars. Next to the temple complex is the Pinjore Garden which is also known as Mughal gardens. This garden was established by Aurangzeb’s foster brother. The garden was constructed using the ruins of the Hindu temples which were destroyed by the Muslim invaders between the 13th century and the 17th century. Bhima Devi temple history dates back to the 8th century and 11th century AD while the history of the adjacent Pinjore gardens dates back to the 17th-century. Agro Dham is a religious place of Hindus based in Haroha of Haryana State. Construction of this complex started in 1976 and completed in 1984. Elephant statue has been installed on both sides of the entrance, at the entrance of the premises. In 1976, the decision to make Akhil Dham was done at the conference of All India Agarwal Representatives. This land was donated to the Trust by Lakshmi Narayan Gupta and construction work was started in the care of Tilak Raj Agarwal. All festivals are celebrated in Agroha Dham. The spiritual atmosphere of the temple provides peace in the hearts and minds of the devotees. 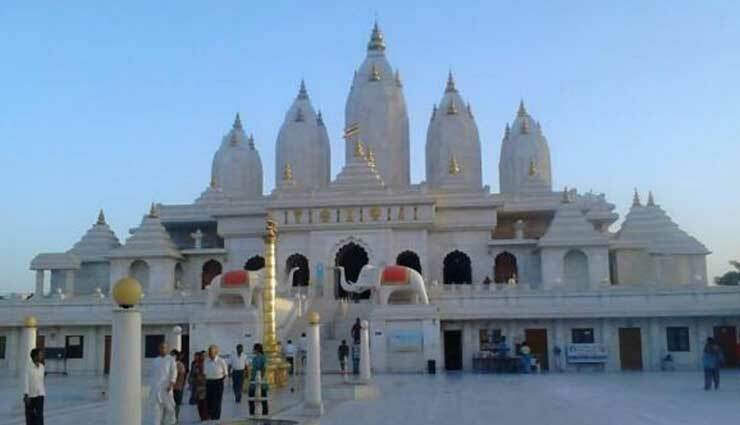 Bhadrakali Temple is located on Jhansa road in Thanesar town of Kurukshetra district. Bhadrakali is a form of power. It is considered to be one of the 51 power 'pithas' of India. It is believed that a dome of Sati fell into the well. The mythological event of Sati is being remembered here with a marble ankle. It is also believed that with the Lord Krishna, the Pandavas worshiped Durga and after winning the Mahabharata war, they came here again to worship Mother Goddess. He also introduced his horses in his service. From that day, devotees offer terracotta and metal horses to the deity after the fulfillment of their desires. It is also believed that the 'Mundan' ceremony of Shri Krishna and Balram was done in this temple. Chandi mandir is more than 5,100 years old and is located on the Chandigarh-Kalka-Shimla highway. This forest, near the feet of the Himalayas, was the King of Demon King, Mahishasura. He was very strong and whenever he wanted to do something wrong, he turned himself into buffalo. Birla Temple of Kurukshetra, built in 1952, is dedicated to Lord Krishna. It is a large garden with a large garden. The idol of Lord Krishna, pillars, floors, steps and sculptures are made of pure white marble. They look absolutely breathtaking in the ancient white, there is a feeling of spreading positive vibes and the environment looks divine. Some stories of Rishi Ved Via and Tulsidas are quoted on the walls of the temple, with their three-dimensional paintings. There are beautiful marble elephant sculptures on both sides of the stairs leading to the main entrance of the temple. It is a common practice to push children to the small elephants of these cherubs and present them with them. Outside the garden, once again we have been portrayed as the Krishna-Arjuna chariot, but this time in pure white elegant marble. There is a three-dimensional painting in the chariot, which shows Krishan to give Arjuna the Gita.